Catch HUNTER X HUNTER And Season Finales For K And ONE-PUNCH MAN, As Well As Simulcasts, Newly-Dubbed SAILOR MOON CRYSTAL, The Premiere of SAILOR STARS, And More! VIZ Media starts December with details on a brand new digital update for its anime content streaming platform. This month audiences are invited to catch the exciting streaming premiere of the supernatural action adventure, HUNTER X HUNTER. Season 1, Episodes 1-13 are available to stream in their entirety now and feature new subtitles that are true to VIZ Media’s original translations of the manga series by Yoshihiro Togashi. In HUNTER X HUNTER, Gon is a young boy who dreams of following in his father’s footsteps to become a Hunter. But first he must pass the notoriously difficult and dangerous Hunter Qualification Exam. Throughout his journey, Gon overcomes many obstacles, while making new friends along the way! Don’t miss hard-hitting new episodes of ONE-PUNCH MAN, simulcast every Sunday. Catch Episodes 10-12 (subtitled) in December with the not-to-be missed explosive Season 1 finale (Episode 12) scheduled to premiere on Sunday, December 20th. The saga of seven kings and their clansmen reaches a powerful conclusion with the final episodes (Episodes 10-13) of Season 2 of the psychological anime action drama, K: RETURN OF KINGS. SAILOR MOON CRYSTAL has captivated anime fans and the series continues this month with the English dubbed premiere of Episodes 4-7 of the Dark Kingdom Arc with one new episode added every Friday. New dubbed episodes from the classic SAILOR MOON anime series will continue to debut every Monday throughout December. The classic anime also continues with SAILOR MOON SUPER S (Season 4) Episodes 164-166 set to premiere ahead of the start of the streaming premiere of the never before seen in North America SAILOR MOON SAILOR STARS (Season 5) on Monday, December 14th with Episode 167. The frenetic ninja action of NARUTO SHIPPUDEN also continues with weekly simulcasts every Thursday during December of streamed installments of the latest episodes straight from Japan. Don’t miss the simulcasts of Episode 439 on December 3rd, Episode 440 on December 10th, followed by Episode 441 on December 17th, Episodes 442 on December 24th and rounded out by Episode 443 on December 31st. Continue the epic supernatural action and drama of BLEACH (dubbed) with the addition of Season 25, Episodes 343-354 (dubbed) available to steam now! BLEACH is also currently available to stream subtitled with Episodes 1-366. Season 2 Episodes 10 will be available to stream (subtitled) on Friday December 4th, with a new episode each week! These episodes join the complete first season, available dubbed or subbed! With the balance of power between the seven kings shifting once again, Silver King Yashiro Isana finally makes his return to the world, this time to face his destiny head-on. Ninja action continues with Season 2 of the NARUTO SHIPPUDEN anime series during December with Episodes 68-72 available to stream December 27th in their entirety with dubbed English dialogue! 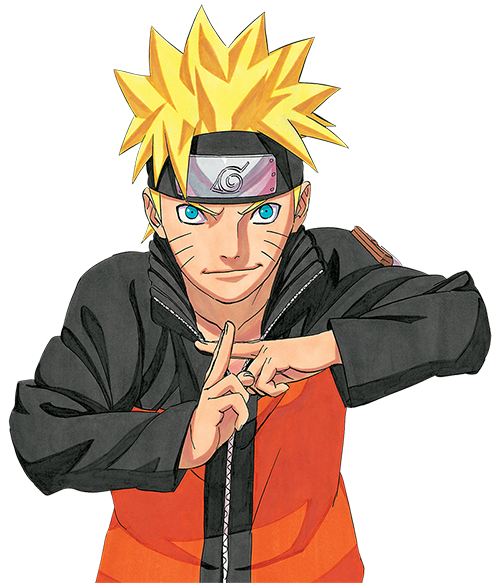 Get your friends into Naruto Shippuden over the holidays with over 70 episodes streaming from the very start. Catch the simulcast premiere of Season 1, Episodes 10 (subtitled) on Sunday December 6th, with a new episode available to stream each week! Saitama is a hero who only became a hero for fun. After three years of “special” training, though, he’s become so strong that he’s practically invincible. In fact, he’s too strong – even his mightiest opponents are taken out with a single punch, and it turns out that being devastatingly powerful is actually kind of a bore. With his passion for being a hero lost along with his hair, yet still faced with new enemies every day, how much longer can he keep it going? The hilarious hijinks of the classic anime martial arts adventure, RANMA ½, continues with the addition of Season 5, Episodes 93-115 available to stream now in their entirety with dubbed English dialogue! VIZ Media’s consolidated online destination for FREE streaming anime content in the U.S. has over 4,100 subtitled and English dubbed episodes and movies from more than 36 series! VIZ Media’s streaming content also reaches an expansive on-demand U.S.-based audience on Hulu, which enables viewers to watch shows anytime, anywhere across devices including Xbox One, PlayStation®4, Roku, Roku TV, Amazon Fire TV, Apple TV, Google Chromecast, and mobile devices. A full list of Hulu -enabled devices can be found at http://www.hulu.com/plus/devices. Additional information on VIZ Media’s streaming anime is available at: http://www.viz.com/anime/streaming/.